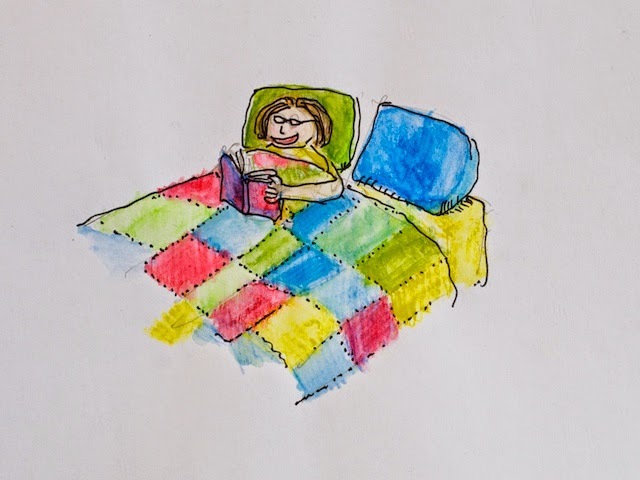 Sometimes now the mornings are really very cold, so Jojo likes to stay in bed and read a book. Do you think she is happy staying warm in bed? 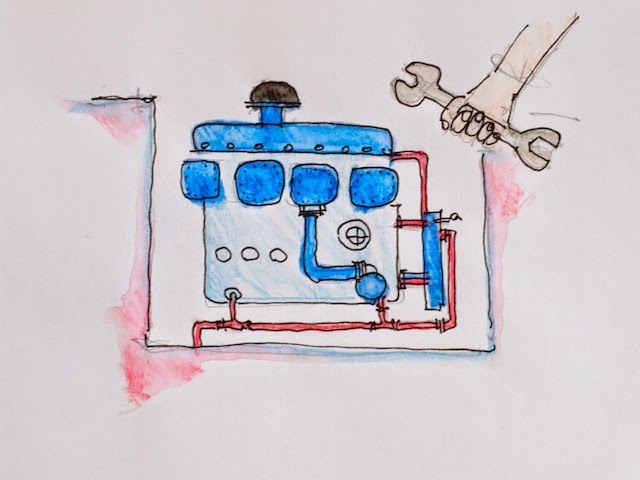 Papa likes to keep the engine of the boat nice and clean, so he can fix it without getting dirty. Most of the engine parts are blue, but some of the wires are red and black. 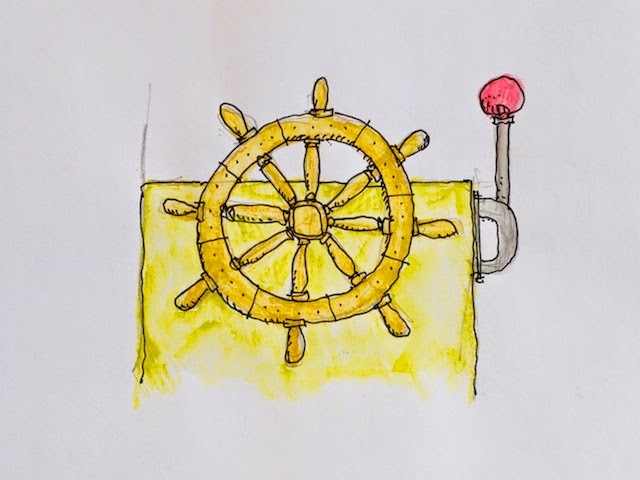 The steering wheel on our boat is made of wood, just like a proper pirate ship steering wheel, with lots of little bits called spokes to hang on to. The gear stick has a big red knob on it too. 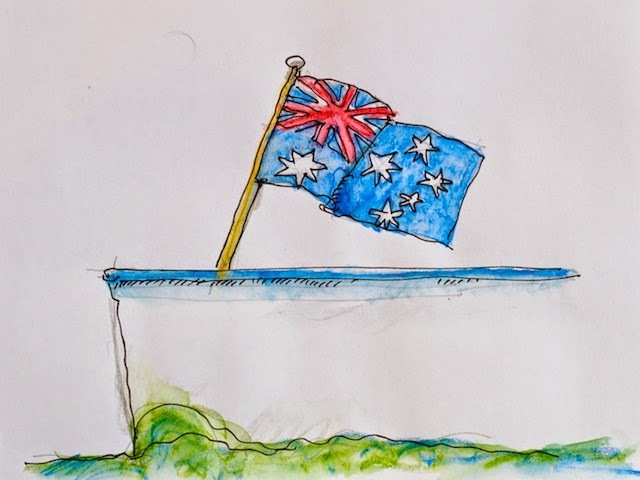 When we are going along we always have a flag flying from the front of the boat, so people know we are from Australia. Did you know this was a flag from Australia? 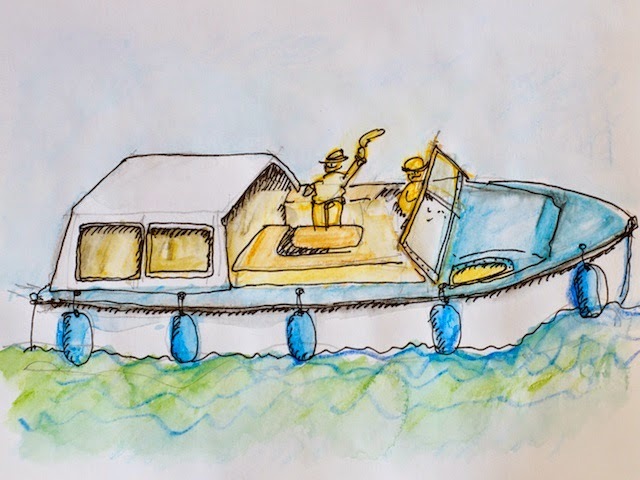 When the weather is fine and warm, we can make the roof of the boat slide back so we can sit outside! We have to put our hats on then. Jojo loves waving to everyone as we go past. Do you remember what we call the big blue pillows on the side of the boat? That’s right, we call them fenders!